[Middle East] Reaching the maximum number of people on the Web with the least amount of effort seems to be the way to go these days, hence the need for Web Localization Services. 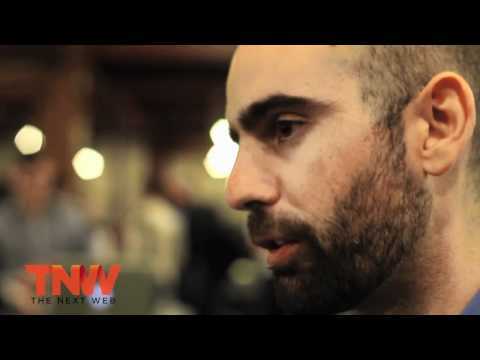 Waheed Barghouthi, former developer of Watwet (the famous Arabic Twitter Spinoff) is attempting to solve that problem by launching Dakwak, a start-up that will enable the localization of any website to 60+ languages, or at least do try to. Localization Services have existed for some time now with well established companies such as Golden View (running for the last fourteen years), or Canadian-based The Code Kitchen so it’s nothing groundbreaking, but it does seem to be the easiest. The process of localization is as simple as 1, 2, 3… and it would beat getting someone to do that work for you. Webmasters can incorporate a resultant code snippet and the required HTML elements and voila! Your web page now has the option of being displayed in another language (or sixty of them). Unfortunately the result isn’t always impressive, seeing that creators have expressed a vision of wanting to help remove barriers between users on an international scale, it is a shame to see misinterpretations, inaccuracy or even wrong sequencing, at least when it comes to the Arabic Language. This type of situation isn’t really new, even Google Translate (One of the two engines Dakwak uses) is inaccurate in its Arabic translations, the most obvious reason is that there is a difference between a literal translation (word for word), and transliteration (finding the closest meaning to a word with no equivalent in the other language) and most of the time meanings are lost in translation. 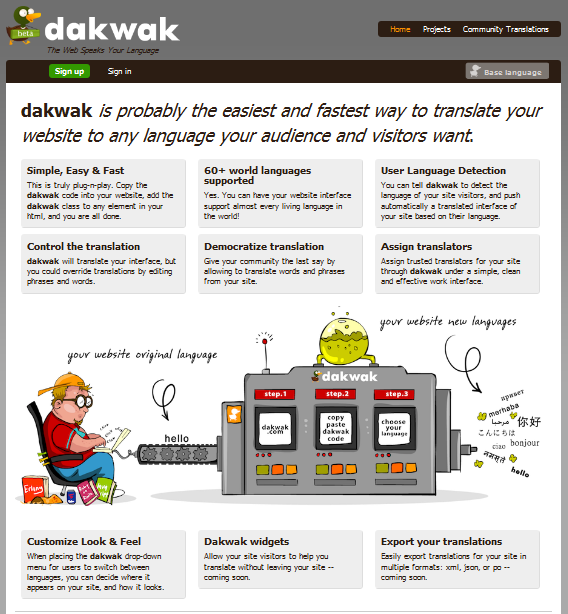 Ironically that applies to the Dakwak.com homepage as shown below in Arabic. However, with time, and even more crucially, contribution from the community, more transliterations can be included in order to bridge this gap and until then, this really won’t be much of a viable solution for localization as fixing the errors resultant from sloppy translations will rob Dakwak of its value.